Drink white tea after Labor Day, you rebel! This Bai Mu Dan is Bai Mu Delicious! That old saying about how you shouldn't wear white after Labor Day is nothing more than an outdated piece of fashion advice (like, really outdated: circa 1950), so we thought we'd just remind you tea lovers out there that white tea is delicious year round! And then we thought we'd refresh your memory about what white tea actually is. And we're gonna get a little scientific here, so hold on to your hats, tea lovers, but we'll try to make this easy reading. Black, green and white tea all come from the camellia Sinensis plant (the top two leaves and bud, which make the best tea, of course), and what makes these teas different is how those leaves are treated after being plucked. Here's a fun word to toss into your everyday vocabulary: Oxidation. That's the effect oxygen molecules, floating around in the air we breathe, have on various substances. Your apple slices turn brown when they're left out because of oxidation, and the Statue of Liberty is green because it's made of copper, which turns green when oxidation occurs. What does oxidation have to do with tea? Here's what: tea leaves start to wither and oxidize as soon as they're picked. Green tea is allowed to oxidize the least — in tea production, you make green tea by rolling the leaves gently and then immediately halting oxidation through heating, and with Japanese-style green tea (like Organic Tamayokucha) that means gently steaming the leaves, or in Chinese-style green tea (like Jasmine Petal Green) that means pan firing the leaves, and then drying them. When you eventually steep these leaves, the tea is green, just like the leaves that grew on the plants. Leaves for black tea go through the most oxidation. For whole leaf tea like our bestselling Organic Assam Breakfast, the plucked leaves are rolled gently to break the cell walls of the leaves, exposing enzymes and essential oils in the leaf so that oxidation can begin, and then the leaves are laid out to rest in the open air for a few hours, turning a reddish-brown color in the process, and then finally it is fired to lock in all that flavor. This is all starting to make a lot of sense, isn't it? Light and lovely in the cup ... it's white tea! But wait, we're here to talk about white tea. The leaves that are used to make white tea actually undergo less processing than green tea, and less oxidizing than black tea (but they are oxidized just a bit). Basically, the youngest tea leaves are plucked in the early spring (some of the fanciest white teas, like Silver Needles, are from leaves and buds that are so new they still have a bit of fuzz on them, indicating their high quality). From there, the leaves are spread out and allowed to wither until they're completely dry (maybe with a tiny bit of warm air if the weather isn't cooperating), and that's it. So you end up with a white tea with a flavor profile described as light, floral, delicate and sweet. The color in the cup is where white tea gets its name. It's barely green and not quite brown; to us it often looks like a light beige. One of our favorites used to be called White Peony, but now goes by its traditional name, Bai Mu Dan. 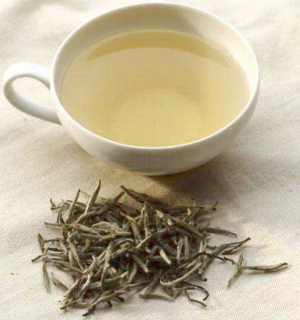 Lots of people think of white tea as a sophisticated cup of tea, since it's not going to hit you over the head with big flavor, but when done well, is subtle, nuanced and smooth. So. If you're a fashionable housewife from the 1950s who's in the middle of packing up her white shoes and dresses after Labor Day weekend, don't pack up the white tea. And to the rest of you, steep it like you mean it, perhaps wearing your favorite pair of white jeans. We promise not to tell Good Housekeeping. 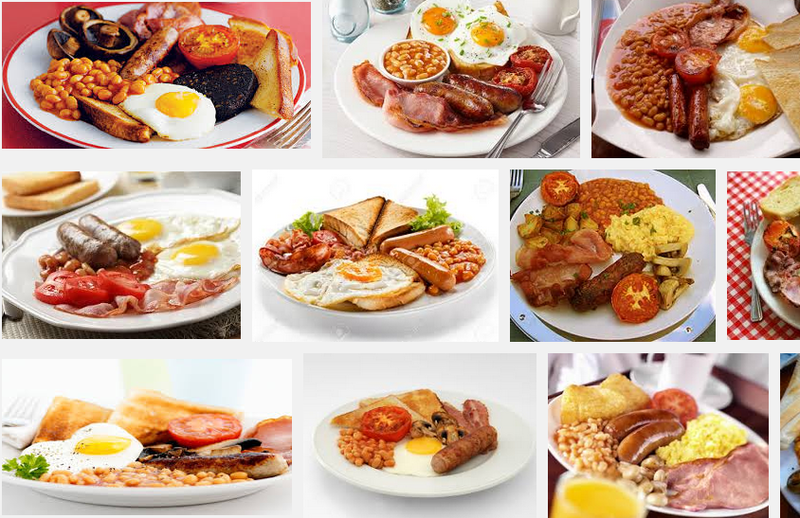 All hail the queen ... and a good cuppa' English Breakfast? English Breakfast is often a tea lover's staple, so let's define it: This is a blend of tea from several spots around the world, including Assam, India; Ceylon (also known as Sri Lanka), and Kenya (and if Kenya as a big tea producer surprises you, check out this quick two-minute video taken inside a Kenyan tea facility). But here's the main point: It's black tea that brews up strong and dark, sometimes people refer to it as "full-bodied" or "robust", and it works well with milk and sugar. As often seems to be the case in tea culture, since the history of tea dates back hundreds of years, nobody is entirely sure how this blend of tea became known as "English Breakfast," although having a strong cuppa' black tea with breakfast has long been a custom in England. 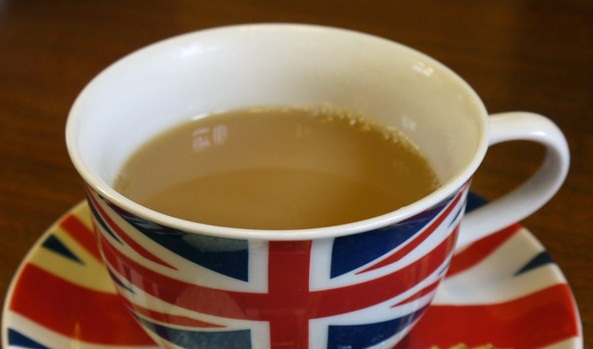 One story has an English immigrant to the United States selling a blend of tea he called English Breakfast during the 1840s, and when that blend became popular, the name spurred imitators. 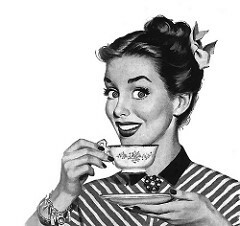 Another account says that Queen Victoria popularized the blend, and was then just called "Breakfast Tea." But here's an important distinction: English Breakfast tea is always a blend of teas from different places, whereas tea referred to as Assam are only from tea gardens in Assam, India. We refer to our own whole leaf Assam as "Organic Assam Breakfast" to make it clear that when it comes to our sachets of real, whole-leaf organic tea, this is the one you'd pick if you want a full-bodied cup of black tea at the start of the day (or, well, anytime). We also sell that delicious, single-origin tea loose! But we also offer a delicious, traditional English Breakfast blend in our line of Paisley Label Tea. Paisley Organic English Breakfast is our blend of quality black teas from different gardens in India, and rather than being whole leaf, this tea is a finer cut that brews up fast when you steep these traditional paper teabags. Our CEO and Founder Richard Rosenfeld likes his first thing in the morning, and he uses two of those teabags in a large cup, steeping for a short period of time. Now we'll throw you a real curve ball: Have you ever wanted the flavor of English Breakfast tea, but not wanted the caffeine? We've got that covered with Paisley Organic Decaf English Breakfast, which is decaffeinated in small batches at low temperatures, to preserve the tea's natural flavor. We know people who love this decaf tea after dinner, and others who keep it in their tea cabinets just for guests who come over and want a delicious, decaf tea. I mean ... geez. Who needs lunch? You can, in fact, take it with you! "If you've ever been searching your purse or laptop bag, and hit a thin layer of crumbled up dried tea leaves when your hand reached the bottom ... you might be a tea lover." Raise your hand if this has ever happened to you. Yup ... and we know why. (Now put your hand down. People are beginning to stare.) Tea lovers know how wonderful it is to heat up some water and plunk some tea leaves — loose leaf tea, bagged or in a tea sachet — in there for an instant teatime, anytime or anywhere. So it's totally normal to grab some tea on the way out the door in the morning with plans for that teatime later. But isn't it disappointing when your best intentions in the morning are followed by a day full of cramming things into and pulling things out of that bag, and your tea explodes all over the place? We hope this doesn't sound too braggy, but we've had this problem figured out for years now. That's why our tea sachets come individually wrapped. The clear sleeves let you see the quality tea inside each sachet, keep our tea as fresh as possible, and make those sachets for teatime extremely portable! But here's another important point for you: A number of people ask us why we wrap up our sachets like this, when it involves using more packaging. We have a couple of answers for that. First, we do it for all of the reasons we're listing here, including the taste of superior tea when it's as fresh as it can be, and because it's so portable. And second (and most importantly), both our loose leaf tea sachets and our sleeves are made out of materials that are designed to decompose. We care about excess waste just as much as you do, so we solved our own problem. We're thinkers like that. 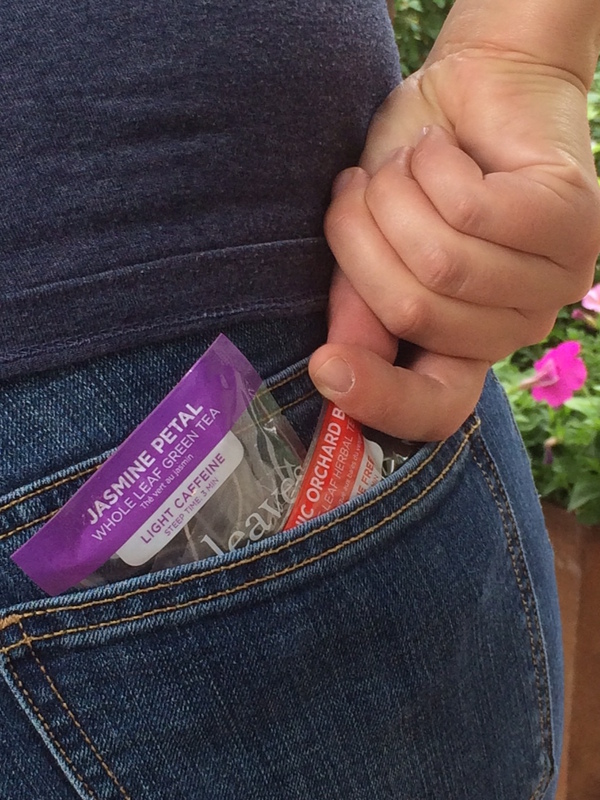 One of the biggest compliments we get from true tea lovers is when they tell us that they really prefer loose leaf tea (which we also sell, but that's beside the point), but when they're on-the-go, our sachets give them the taste of truly great, whole leaf loose tea to go ... anywhere! We're bringing this up now because you might be trying to get in an extra summer vacation, and we don't want you to forget the tea. We've taken our own tea sachets around the world with us on our travels, and we've practiced saying, "just some hot water, please," in many languages so we're never without our favorite beverage. And those crumbled up tea leaves in the bottom of our purses and laptop bags? Doesn't happen anymore. Our individually wrapped tea sachets are so great, they might end our Jeff-Foxworthy-of-tea-companies career. Man, that's a shame. 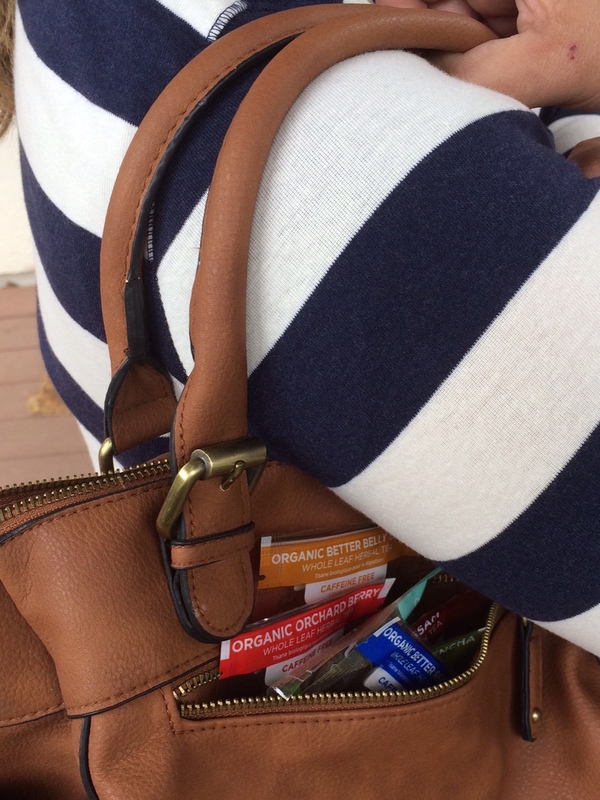 Worth mentioning: Our colorful sachet sleeves match any piece of luggage! ps: One last thing, tea lovers: We love tea so much that we never want to encounter a road block to our favorite brew. So, you know when you're out and about, and the right temperature of boiling water is hard to come by? Our Paisley Label Tea is great for those times. It's a finer cup of organic tea in traditional paper teabags, so it brews up fast and strong, regardless of how hot (or not so hot) the water is. It seems like we've thought of everything, doesn't it?! What’s the world drinking? First water, then tea. Something's missing here. Oh, right ... tea leaves. This is a fact that has always dazzled us at our tiny tea company in the mountains of Colorado: In terms of the most popular beverages in the world, first comes water, then comes tea. And what is tea made with? Water. What is 71 percent of the world's surface is covered with? Water. And what makes up more than 60 percent of your body? Water! We are surrounded by water here at Two Leaves and a Bud, almost literally: Our office in Basalt, Colo., is alongside the Roaring Fork River, and located on Two Rivers Road, so named because the town of Basalt is where the Frying Pan River converges with the Roaring Fork. (The Roaring Fork, in turn, travels 30 more miles down valley until it converges with the Colorado River, which as you may know, ends up flowing through the Grand Canyon.) We love the taste of our local water here, and we've felt that way for years. That's why we have reverence for the fact that August is National Water Quality Month — a time when we should all be thinking about what we can do to keep waterways and ground water in our communities clean. Don't use antibacterial soaps or cleaning products. Clean your driveway with a broom and not a hose. Do not flush outdated or unwanted medications down the toilet or drain. Install a rain barrel to collect rainwater. 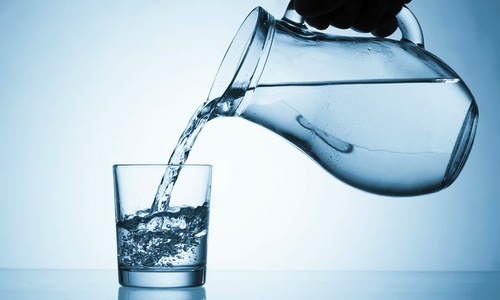 Collected water can be used to water a lawn or wash a car. Test soil before applying pesticides or fertilizer. Take used oil or antifreeze to a service station or recycling center. Walk pets in grassy areas instead of by waterways and always pick up after them. Adopt a watershed, organize stream cleanups, plant trees, and monitor water quality. Your household may not produce enough pollution to force a beach closing or cause a fish kill, but the combined impact of all the homes in one community can be quite severe. So let's keep it clean out there, shall we? What will result from our efforts is many more years of delicious water, with which we know you'll brew some really great tea. Cheers, H2O lovers! That's more like it. Clean water = delicious tea. 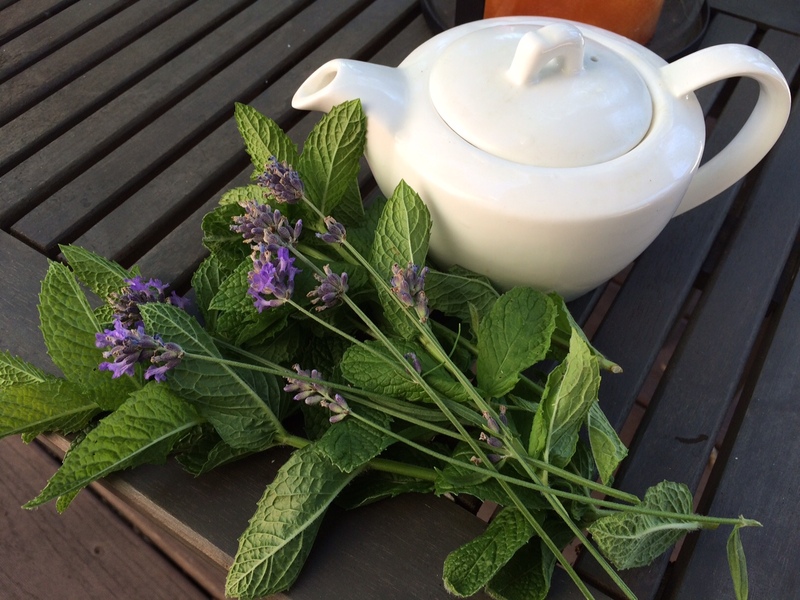 When life gives you mint and lavender ... brew tea. As tea lovers, you guys know that herbal tea isn't technically "tea", right? (For those of you who don't, a quick explanation: Tea leaves are actually all from the same plant, which is called Camellia sinensis, and grows in very specific climates. Those leaves are plucked and then prepared in different ways to create black, green and white teas. 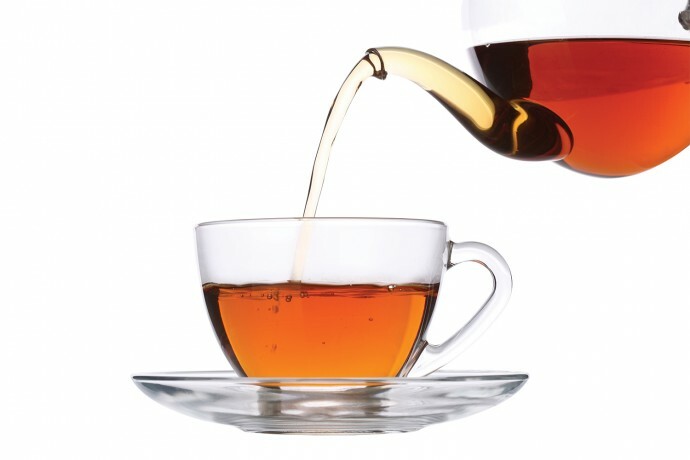 Any other kind of "tea" comes from other plants, and is therefore referred to as herbal tea, or infusions.) But we still refer to infusions of leaves from plants like mint, hibiscus, herbs, and anything else that tastes great as "tea", and the best news is, you can grow your own! Mint, any kind of it: Mint grows like a weed, and there's nothing easier than plucking some mint leaves and steeping a bunch of them in hot water. Plus, once you've got some fresh mint you'll be adding it to every tea concoction you whip up ... not to mention cocktails. Lavender: Looks and smells gorgeous in the garden, but sounds a little strange in the cup? Nah - some of you are addicted to our loose Lavender Earl Grey. This pretty pale violet flower known for its relaxing qualities brews up gorgeously, and you can add it to just about any other cup of tea for added scent. Anise-Hyssop: This one is like a warm cuppa' licorice when brewed, and a bonus is that the flowers may attract butterflies and hummingbirds! Chamomile: Our Organic Chamomile grows in Egypt, but you can try this one yourself, too. It's an annual, so you'll have to plant it every year, but these little flowers look like tiny daisies, and can help with insomnia. Rose hips: You can't snip your roses for bouquets if you want rose hips to form, but once you pick the rose hips, crush and brew them and you'll get a tart infusion that's got lots of Vitamin C! And don't forget to strain the liquid before drinking, because those hips have little seeds and hairs inside. Lemon balm: Nothing says summer like a tea brewed from lemon balm, but it's in the same family as mint, so it'll spread fast unless you work hard to contain it. What are you guys growing out there that you've turned into tea? We're always open to suggestions!